most underrated summer month, since after tomorrow, we shut down pools and act like its over. Its not!! Everyone get out and enjoy the traffic free drives to your favorite relaxing spots!! Some shots from the amazing, yet too few, visits I had to Fair Harbor, Fire Island these past months. and their super cute Coney styled window display! Located at 261 Smith Street. Now available in the most beach-ey store in New York City – Warm! jewelry, swim, home, kids, you name it! They have a little of everything. Stop by soon! 181 Mott Street, between Kenmare and Broome. so I take advantage of little visits or weekends away. Thanks John and Felicia! I think everyone enjoyed the impromptu dye lesson and crazy fashions that followed. 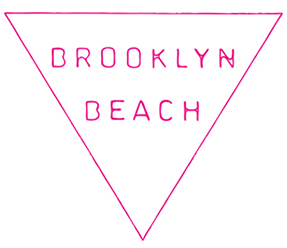 Brooklyn Beach in Kempton & Co in Red Hook! Congratulations Fiona! Kempton & Co has a lovely new store at 392A Van Brunt Street.